This simple to make homemade Halloween wreath is spook-tacular – and takes only 15 minutes to put together. 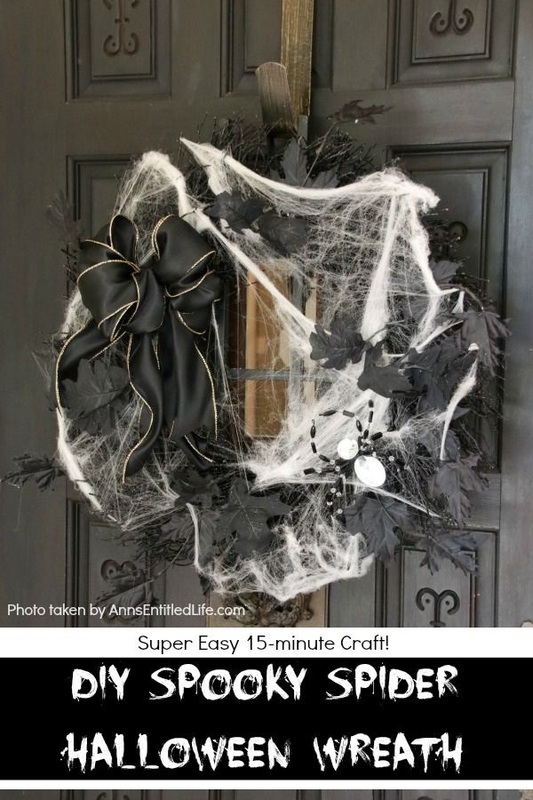 If you are looking for easy do it yourself Halloween decor, look no further than this DIY Spooky Spider Halloween Wreath, and make one today! This is a minimalist wreath idea, but the look is not sleek. 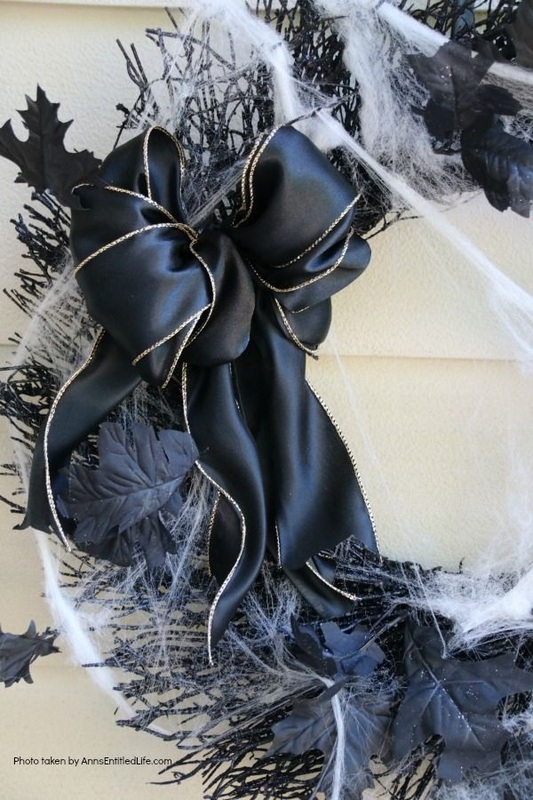 This wreath uses black on black with a bit of white to break things up. 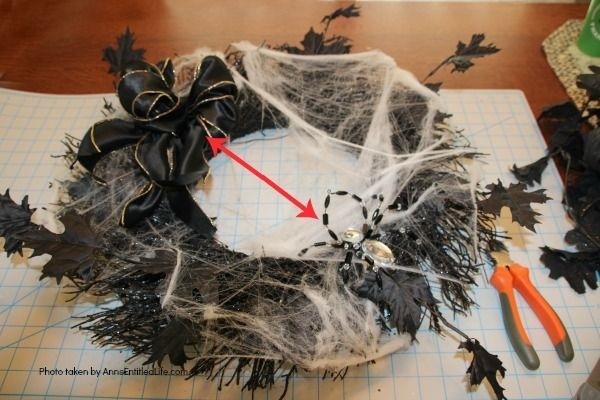 Holiday decor doesn’t get any easier than this fun spider wreath. It is 4 items (plus glue gun), is ready in no time flat, and there is almost no way to screw it up. In addition to a Halloween wreath idea, this also works as a Harry Potter Forbidden Forest idea (for a Harry Potter party). 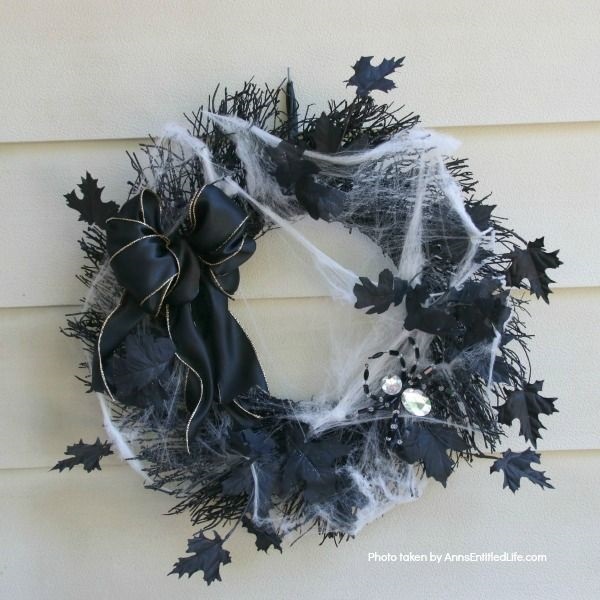 You are taking a black wreath – look for a wreath with built-in overlay such as black leaves, black spiders, webs, skulls, etc. 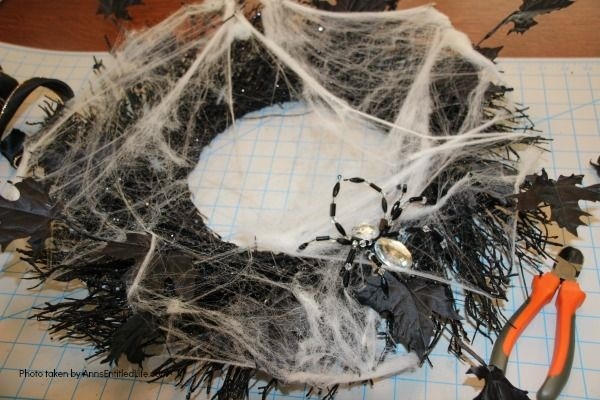 A simple black wreath with no overlay will also work as you can buy black garland to make your own depth (try Michaels or Party City). We used leaves to tell of a windy, spooky night. If you cannot make a bow, buy one! 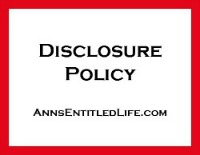 They are fairly inexpensive at Jo-Ann Fabric, Michaels, or Hobby Lobby. If you are lucky, you may even be able to find one at a dollar store. The spider used on this wreath is actually an ornament. We just cut off the hanger. You can use any black/white/sliver/clear spider you would like. If you cannot find a spider with some depth (jeweled, white on black, a crystal – Michaels is usually the best for these), and have an old brooch, or necklace, you could remove the chain and use that. Everything flows outward on this wreath. 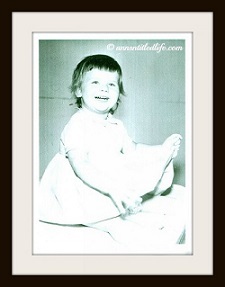 40+ years ago I took a journalism magazine class, and was taught that flowing-out looks best to the naked eye (that is why you see only white space on the outter edges of a magazine or newspaper, not in the middle). The same princpal follows here. 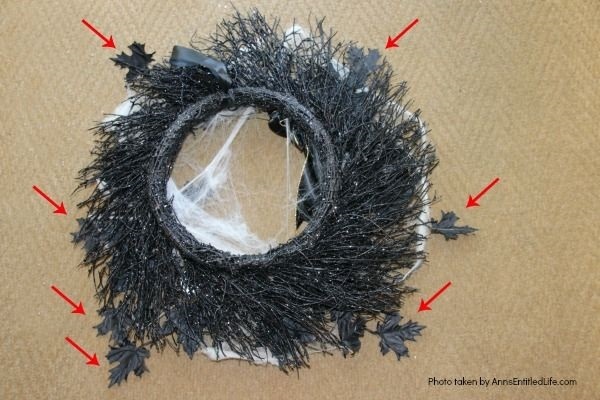 The built-in leaves (or wrapped garland) on the black wreath are pulled outward to extend the wreath, as well as help the outward flow. 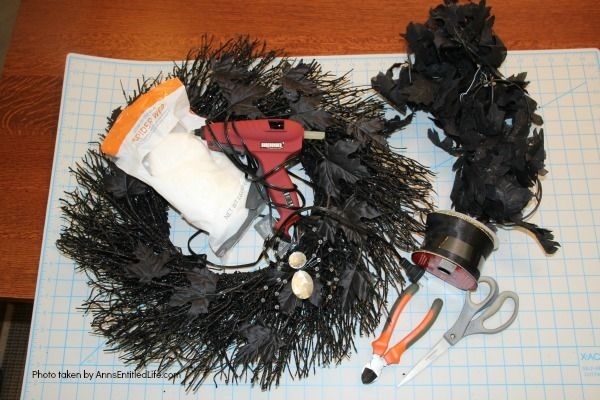 To make the DIY Spooky Spider Halloween Wreath you will need these materials (or something close). The easy to follow instructions follow. 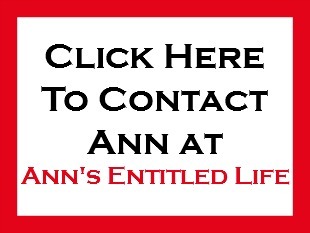 The printable instructions are at the end of this post. 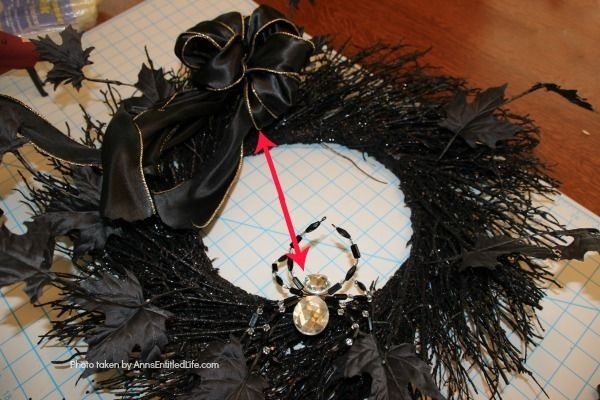 • Wrap black garland around wreath if you black wreath did not come with an overlay. • Pull a few leaves away from your wreath to add depth. • Make your bow if you did not purchase a premade one. • When you place your bow and spider, make sure they are across from one another. The story you are telling is the spider is crawling toward the bow. 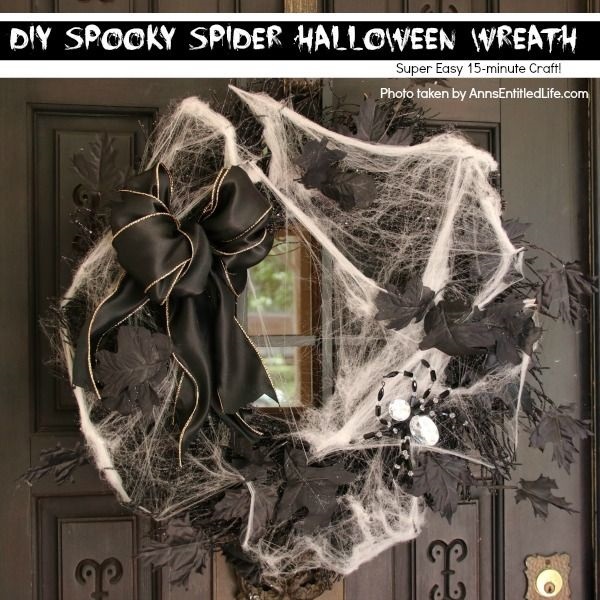 • Stretch some spider webbing across the wreath. 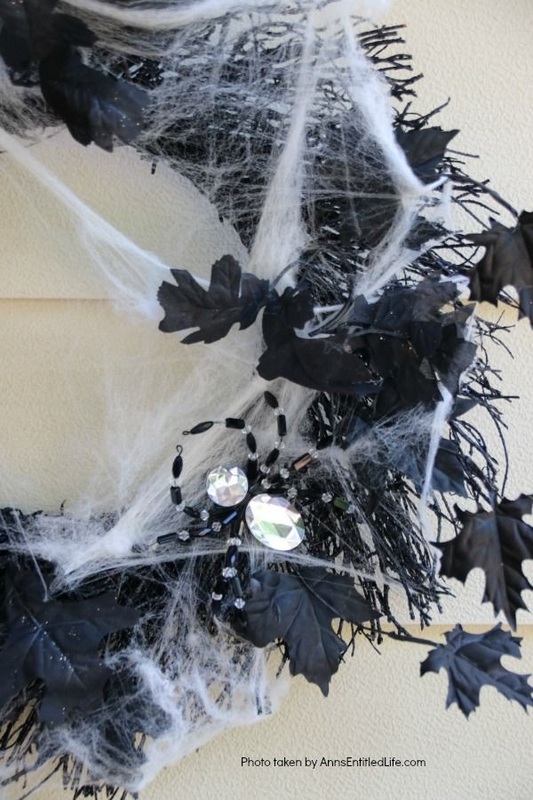 You “should” be able to use the leaves (skulls, spiders) that were built in (or on your garland) to hold the webbing. If that is not working out, glue a few edges in place. 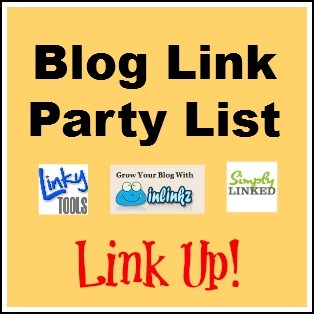 The more you work with your web (taffy-pulling it), the more “realistic” it will look. 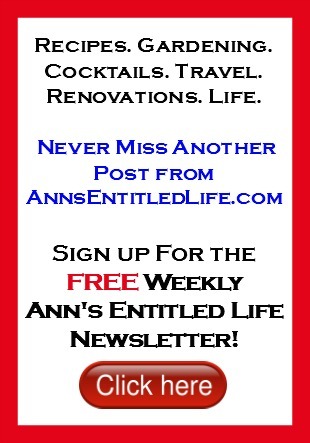 You do not want your web too stringy. • Hot glue spider in place. • Hot glue bow in place. 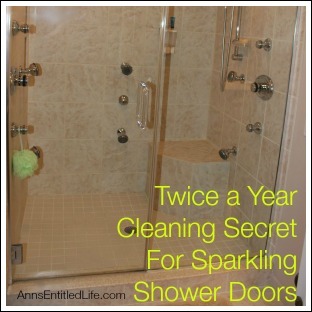 • Clip off a few leaves and tuck them in over the spider web to break up the white. 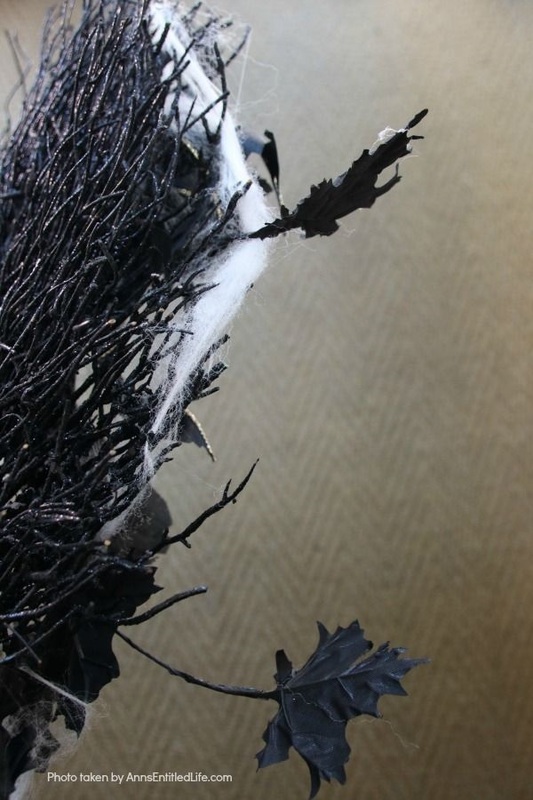 • Hot glue a small hanger in place if you like. I was not kidding when I said this is a 15 minute craft project that nearly anyone can do. It is inexpensive, spooky, and yet whimsical at the same time. This one is so easy that if your wreath comes with the premade overlay and you buy a premade bow, older children can put this together (provided you watch over them while they hot glue). 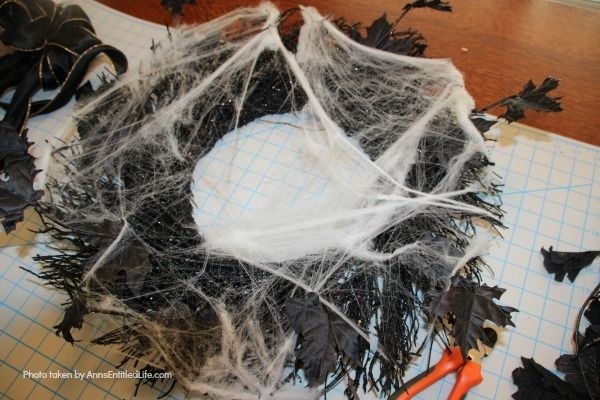 • To print the DIY Spooky Spider Halloween Wreath craft instructions, click here. • BOO-Tiful Halloween Wreath – While this beautiful DIY Halloween Wreath will not scare anyone, it is lovely and stylish Halloween decor. 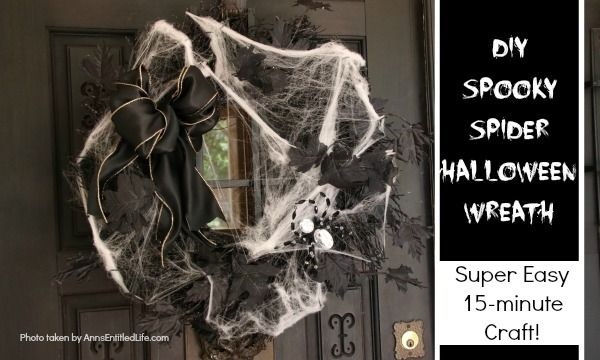 Hang this Halloween wreath on your front door, side door, over a mantel – anywhere you place seasonal wreath decor.